Abuse of and addiction to prescription Etizolam, currently a black-market drug, is becoming more and more common in the UK and also globally. Here Addiction Helper provide you with the facts on Etizolam. Although Etizolam has previously been a legal drug and peddled as a legal high, it has now been banned in the UK under the Psychoactive Substances Act which came into force in May 2016. Addiction Helper feels it is important to educate everyone on the dangers of taking ex-legal highs. The term “legal high” implies they are safe; but these drugs have been banned for good reason. The most prevalent rationalisation is that they have caused deaths in some that have used or abused it previously. Reading this article will provide you and your family with all you need to know on the effects, dangers, statistics and the signs and symptoms of an individual who is addicted to Etizolam. We will also advise you on the most suitable and successful treatment options available on the UK and overseas, both privately and on the NHS locally. Our aim is to educate and help those that suffer from addiction, abuse, and misuse of substances. Addiction Helper are the leading authority on rehab treatment in the UK and helped well over 10,000 individuals access the correct help and treatment for their specific problem. Prescription drug addiction and abuse can be very dangerous and even fatal. If you or a loved one have a problem or any concerns relating to the use of Etizolam or similar ex- legal high benzodiazepine-type drug, please call our helpline now! We are ready to provide fast, free, and expert help. Etizolam is a banned drug in the UK and not fit for human consumption. It is not even a controlled prescribed drug. It used to fall under the umbrella of legal highs until the Psychoactive Substances Act came into force in May 2016, declaring it a dangerous and illicit Class C drug. It is available in pill, powder, capsule, and also in liquid form. Generally, the tablets come in 1 mg and 2 mgs; 1 mg is the equivalent to 10mg of Diazepam. The effects peak pharmaceutical effects last from 40 minutes up to 3 hours, so it is relatively short-acting but potent. It is most commonly purchased in the UK in pill form. In Japan and India, it is used as a prescribed medication to help alleviate the symptoms of anxiety and panic; it slows the body and brain down to reduce hyper alertness and induces feelings of drowsiness, relaxation, sedation, and calm. Since the substance had been banned, it has gone underground on the black market and bought over the internet individually or in bulk from suppliers overseas such as India, Japan, and the USA where the medication is legal on prescription and therefore easy to obtain. Currently, the biggest risk with Etizolam is that it is been manufactured underground and obtained from unregulated suppliers. This means that users are exposing themselves to high-risk dangers and do not know exactly what is going into the substance. Etizolam varies in cost, depending on the form it is purchased in, the quantity purchased, and the supplier. Etizolam can range from £1 for single tablets (or in quantities less than 10), to as low as 5 pence per tablet when purchased in bulk. Typically, 100 Etizolam tablets will cost around £40. The powder form ranges from approximately £10 for 50 mg, up to £950 for 20 grams. Basically, as with most drugs, the more you buy the more you get for your money. Etizolam is a synthetic man made drug that mimics the effects of benzodiazepines and carries the same withdrawals and addictive/dependence risks and properties. It is not actually a benzodiazepine but is a benzodiazepine analogue. An analog drug is a synthesized drug manufactured to mimic the effects of an original controlled or illicit drug, in this case Benzodiazepines. 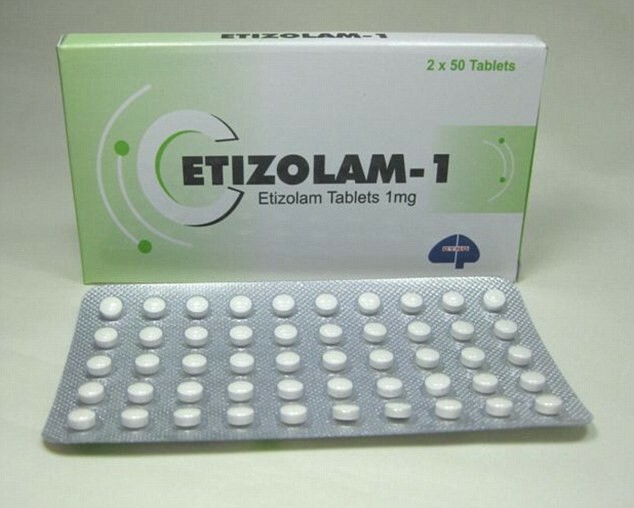 Etizolam is similar in its pharmaceutical effects to Xanax (Alazopram). 1mg of Etizolam is equivalent to 10 mg of Diazepam, so it is considered a very strong drug but is relatively short acting compared with similar approved medications within the benzodiazepine class. So what makes Etizolam so attractive? Well for one, it is seen as a safer alternative to controlled drugs, as was previously classed as a legal high. Therefore, there is a common misconception that it is not as harmful or as addictive. They are also very cheap to buy, and manufacturing them costs pennies; dealers make a lot of money out of manufacturing and selling illicit street drugs and legal highs. They are also very easy to obtain; whereas prescribed drugs as harder to get hold of as there are more stringent checks in place with regards to their distribution. Etizolam contains the same sedative, anxiolytic, anticonvulsant, hypnotic, sedative, and skeletal muscle-relaxant properties as other benzodiazepine medications do. Until its recent reclassification from a legal high to an illicit drug under the Psychoactive Substance Act, it could be obtained from any legal high shop over the counter. The fact it is now illegal to possess, supply, sell, or give away, even for own personal use in the UK can carry heavy penalties and is also indicative of the dangers associated with Etizolam. Etizolam is very addictive and any user that frequently uses the drug may quickly develop a dependency just like with benzodiazepines. The withdrawal effects are also very similar and can even be life-threatening if not carried out correctly with the appropriate medical support and treatment. Frequent users will quickly develop a dependence to the drug, meaning that their body and brain will require higher doses, or they may resort to different methods of administration in order to achieve the original effects gained at the start of taking the drug. This is a never-ending cycle as the body and brain chemically adjust to each new dosage and so the individual will need to take more and more as time goes on. If they miss a regular dose or take less than the body is accustomed to, they will experience withdrawal symptoms, some of which are very distressing and uncomfortable. It is vital that, if you are thinking of quitting Etizolam, that you do not go “cold turkey”, this can result in seizures, respiratory failure and death. Please seek professional medical and addiction help first before attempting to withdraw from it. Other Names Etizolam Is Known By? Etizolam has many street and brand names; it is important to know what these are, so that you know it is Etizolam that you are taking. What Does Etizolam Look Like? 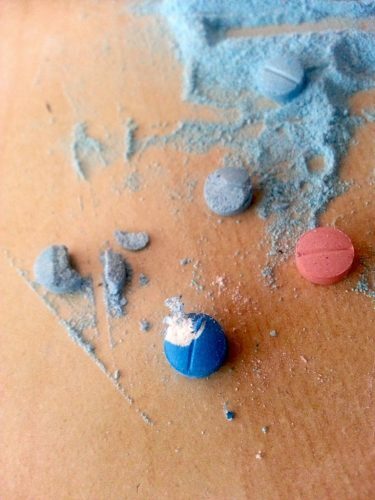 Etizolam can also come in varied colours and strengths mainly blue and pink pills; the shape of the pills can also vary, and they can also come in capsule form. Tablets and capsules can be crushed or opened and snorted. All variations, liquid, pill, or capsule form, of the drug can be made into an injectable solution and administered intravenously for a more intense high and pronounced effects. Statistics recently released by the Scottish Government, report a huge rise in the use of “street Valium” also known as “Fake Valium”, resulting in a shocking rise in deaths attributed to this type of drug. “Latest figures show Scotland is the most drug-blighted country in Europe, with deaths up 23 per cent to 867 in 2016 – a death count 2.5 times higher than in England and 27 times higher than in Portugal. Scottish Labour justice spokeswoman Claire Baker added: “This is the right decision by the UK Government. “Too many lives have been either lost or ruined because of this drug, so it’s welcome that it has been reclassified. “The Daily Record deserves a lot of praise for pursuing this issue and forcing it onto the agenda at a time when few others were doing the same. “● Etizolam-related deaths soared from eight in 2013 to 46 in the first half of 2016 – a 1150 per cent rise in three years. By November 2015, etizolam was detected in post mortem results almost 50 times a month – up 920 per cent in seven months. One Glasgow hospital recently reported treating six benzodiazepine overdoses a day at A&E. The Daily Records report, backed by the Scottish Government raises a real cause for concern. Any new psychoactive substances (NPS) fall under this blanket ban and are illegal to buy, sell, possess or give away. Being convicted can result in heavy fine penalties, a criminal record and can also carry lengthily custodial sentences. Below is statistic research evidence provided by ONS (Office of National Statistics) for drug misuse and overdose deaths. Please bear in mind that this infographic evidence does not include Scotland or Northern Ireland where the problem with Etizolam-related deaths are most prominent, especially in recent years. 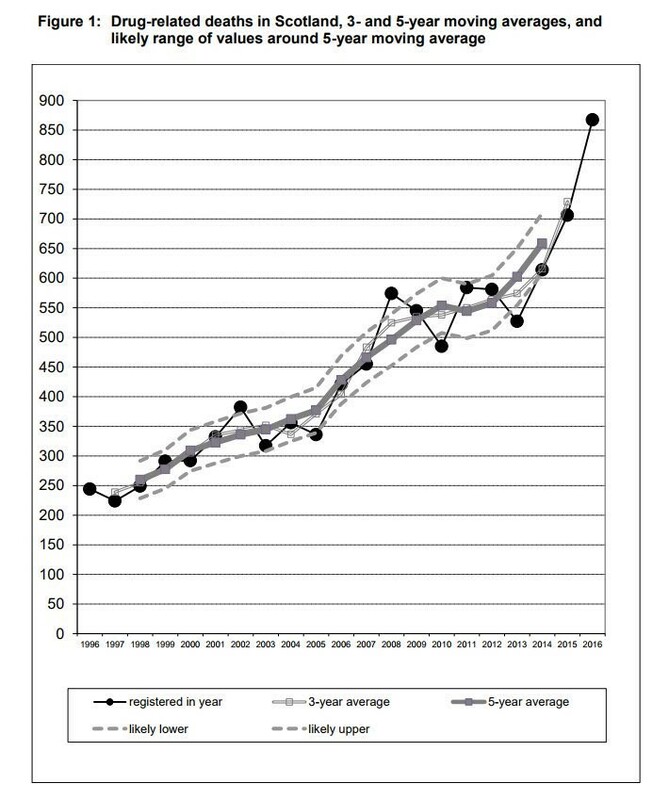 Sharp increase in drug related deaths in Scotland in 2016, are related to the use of new NPS benzos such as Etizolam. 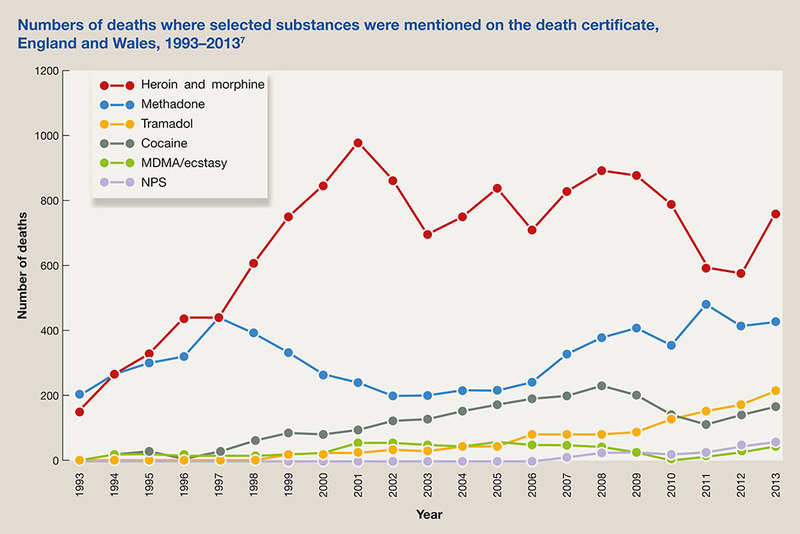 As you can see from the graph below, relaying information on Scottish deaths relating to NPS, such as Etizolam, the rise in death has been alarming. These statistics were recently released by the National Records of Scotland. A total of 867 drug-related deaths were recorded in Scotland alone in 2016; that’s a 23% rise from 2015! New NPS such as Etizolam are being blamed for the alarming increase in deaths, as amounts of these substances have been found in many of the cases recorded. Scotland’s drug related death rate is over 3 times higher than the rate for England and Wales (about 39 per million for the same period). Greater Glasgow and Clyde accounted for 30% of all deaths and had the highest rate at 170 per million. What’s more concerning is that these deaths have continued to rise since the introduction of the blanket ban of psychoactive substances. Showing that the ban has had little, if no positive impact at all. Of course it is still early days, but the Scottish government are calling for more preventative and harm reduction measures to be put into place to stop the Etizolam epidemic from continuing to take lives on a daily basis. Tramadol, Codeine, dihydrocodeine and other prescribed opiate-based drugs. Mixing opioids with the Etizolam or any other benzodiazepine-like drug, whether real or synthetic, is extremely dangerous. Nearly all instances of death occur through abuse, addiction or intentional/unintentional overdose. The problem with combining opioids and sedatives, or sedatives and sedatives, is that the brain can become so relaxed that the essential life-giving mechanism of breathing suddenly stops, resulting in immediate death. If you or a loved one is exhibiting any of these symptoms, it is likely that you have an addiction or abuse problem with Etizolam that requires immediate professional help. Addiction, if left untreated, always gets worse over time, never better. This is especially true of those that find they are unable to stop their compulsion to take more. A dependency to a substance or medication, does not necessarily indicate an addiction; it is the associated maladapted behaviours, thoughts and feelings of the individual that defines if they have an addiction. Those with a tolerance or dependency only, will find that they are able to taper off and stop without too much difficulty; they may suffer withdrawal symptoms but do not use this as a reason to carry on taking the medication. Once detoxed, their life then improves all round. Those that suffer with addiction, will find it practically impossible to stop of their own accord, due to the illness residing in the individual’s mind and compelling them to keep on taking it. If they do manage to stop, they are prone to relapsing, unless they deal with the issues that are underlying their compulsive need to escape themselves and life. Addiction is an illness of the body and the mind. The psychological aspect of the Addiction must be addressed and treated comprehensively – if the individual is to stand any chance of achieving a happy and healthy life free from substances and addictive behaviours. If you are physically dependent on Etizolam, it is always best to undergo an inpatient medical detox. Inpatient detox is by far the safest proven way to withdraw from benzodiazepine type medications and drugs, including Etizolam. Call Addiction Helper now or write to us on live chat, for fast, free, expert advice on how to access an immediate admission to a private detox facility to assist you in safely becoming Etizolam-free! Because Etizolam is a class C drug is is difficult to secure funding from drug rehab on the NHS. Most rehab funded places are reserved for those with a Class A dependency or alcohol addiction, although each case is considered individually. If funding is awarded by the government for private rehab treatment, you will have to prove willing and determined. 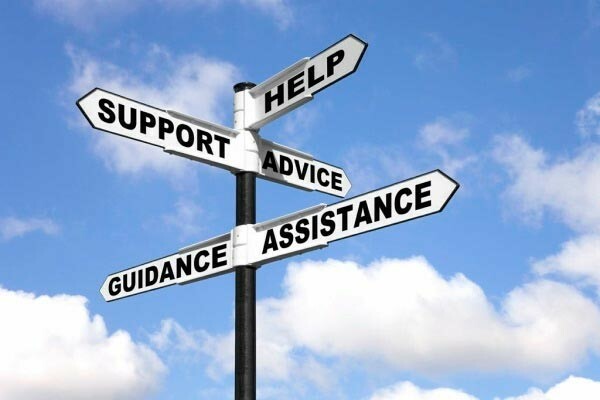 Funding can be requested for consideration via your local DAT (Drug and Alcohol Team) Their Doctors prescribe a reduction regime that you will need to follow to the best of your ability and the DAT will usually require you to complete a pre rehab course, attend groups and all key worker sessions and appointments. Funding can take time and perseverance to secure and waiting lists are lengthily. If you do not qualify for rehab funding your local DAT will still be able to help with a community detox regime, one to one key-work and group work sessions. You can self-refer to DAT, so don’t have to go through your GP if you would rather they did not know. The other option is to seek help and assistance from your GP this does mean being completely honest with them and will only work if you tell them the absolute truth and work with them to the letter. They can offer additional support on top of your receiving support from your local DAT. There are a number of self-help groups available that can be accessed for free; Narcotics Anonymous UK cover all drugs, including prescriptions pills. They provide a recovery programme that can be followed and accessed through attending their meetings. Smart Recovery groups are also helpful in providing support and motivation. Some local DAT offer Smart meetings, but if yours doesn’t, you can find out more information by visiting the Smart Recovery website. A number of support groups for families of those with an addiction problem are helping people across the UK; they include Adfam and Families Anonymous. It is well recognised that is not only the addict that suffers, but also the family and loved ones too. It is important that their needs are also met in terms of support, so that their loved one’s addiction does not consume them. By learning to put their own needs first, they are then able to constructively help their loved one instead of inadvertently enabling their addiction. Groups aimed at supporting the family and loved ones are very helpful to this process. Many of the rehabs also offer a Family Recovery Programme, specifically aimed at helping the family to heal the past and to show them how to best move on with their own lives, whilst still supporting their loved one in the best way possible once they have completed inpatient rehab treatment. All rehabs that Addiction Helper are partnered with offer 1 year free aftercare as part of an ongoing comprehensive recovery package. We also offer the family support. We recognise that the family are an integral part of the individuals on going recovery back home, and they too will need help in understanding addiction and healing the past. For an individual who has an addiction, abuse problem or dependence to Etizolam, it is essential that they seek both medical and professional psychological help. Addiction Helper are able to facilitate immediate and same-day admissions to one of our many exemplary private rehab clinics for those in crisis. Some individuals need to be taken out of the toxic environment they have submerged themselves into, away from temptation and the daily pressures of life in order to make a full recovery. 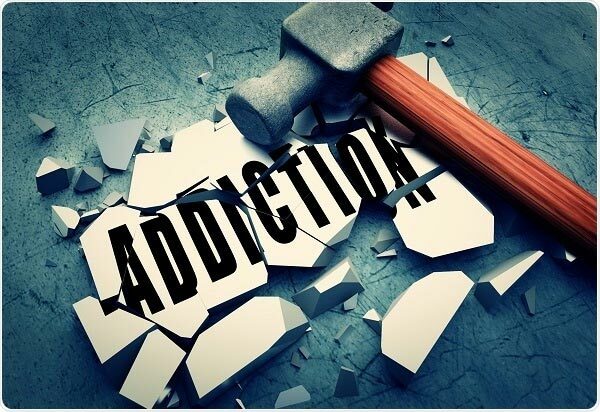 Addiction Helper strongly recommends inpatient medical detoxification and rehabilitation for this particular addiction, due to the dangers and complications that can arise whilst withdrawing from Etizolam. This is especially important in cases where there is a high level of Etizolam dependence, a dual diagnosis, or where there is another dependency to alcohol or drugs is present. Please do not hesitate to call us or chat online now, to discuss your individual circumstances, so we can find you the best treatment and support available to get you or a loved one well. Addiction Helper specialise in treating addiction; we understand that addiction is both a physical and mental illness and that both aspects need to be comprehensively treated in order to avoid relapse. By calling us, you will receive a comprehensive assessment free of charge, conducted by one of our addiction treatment experts; who will then make an informed decision as to the best and most successful treatment options available to you. We will then take all factors into consideration before suggesting an appropriate treatment plan. We want to ensure that you are happy with your choice of rehab and that you or your loved one have the best chance of a full and long term recovery from Etizolam addiction and any other co-occurring illnesses presenting . We can find you or your loved one the ideal treatment plan and rehab facility in which to recover from an addiction or abuse problem. 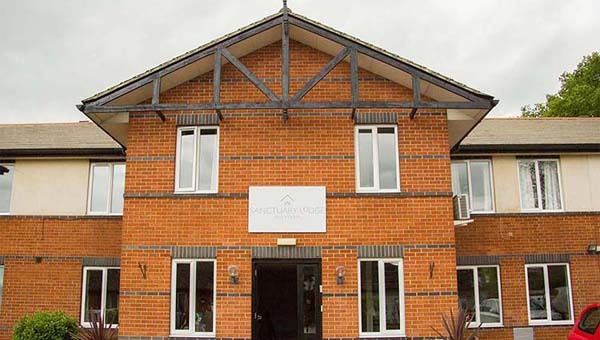 We offer specialist inpatient treatment ranging from affordable rehab to luxury detox and rehabilitation, with locations all over the UK and also overseas. We also offer short term and long term programmes, including secondary care, extended tertiary care and sober living accommodation. The duration of treatment required to get you or your loved one well, will depend on individual circumstances, the severity of the addiction and if any other substances or illnesses are involved. Our rehabs specialise in treating those with a dual diagnosis or co-occurring illnesses such as Depression, Anxiety, Eating Disorders, OCD, Trauma and Posttraumatic Stress (PTSD). These conditions often underlie a substance or activity addiction, so it is imperative that they are all treated simultaneously and comprehensively so that the individual can recover from all conditions and look forward to a substance free future. Following a successful medical detoxification from Etizolam, the individual will then ideally undergo a full rehabilitation programme to address the psychological aspect of their addiction. Our rehabs are staffed by experienced and fully qualified addiction treatment experts, many of our staff are in recovery themselves, so have a unique insight and understanding of the addicts brain, their thinking and associated maladaptive and destructive behaviours. Our Diazepam addiction rehab treatment centres only deliver the latest in evidence based addiction therapeutic and medical treatments such as: a full medical detox, one-to-one counselling, process groups, trauma therapy, CBT, DBT, 12 Step therapy, group therapy, educational workshops, relapse prevention techniques, mindfulness, meditation, fitness programme, healthy eating programme, holistic programme and much, much more! A good rehabilitation programme is essential in order to avoid relapse, otherwise all that has happened is the individual’s body has been cleared of the drug or drugs through a medical detox. With the same mindset and belief systems, it is likely, that at some point in the future they will resort to their only method of dealing with their thoughts, feelings, emotions and life – with the use of Etizolam. We always strongly recommend rehabilitation alongside any medical detox, to ensure each individual has the best chance of a long and happy recovery. Addict’s brains are conditioned to seek instant gratification and ease and comfort through their drug of choice, or through another drug or behaviour that gives them what they so desperately seek. Addiction is a chronic relapsing brain disease, and over time spent in addiction, the brain adjusts as does its neurological pathways; so in a sense they become hardwired and conditioned to seek relief through addiction, rather than applying healthier coping mechanisms to neutralise or process the way that they are thinking and feeling. In order for them to be able to live life on life’s terms without picking up a substance, they will need to learn healthy coping mechanisms, process their thoughts and emotions and be able to apply a set of recovery tools to safeguard their recovery. This is why detox alone, from any substance, is rarely sufficient if the individual is an addict. Our rehabs professionally treat the root causes of addiction, teach our clients the tools of recovery, arm them with the facts of addiction and show them the process to be able to continue their recovery and growth on returning back home and to the real world. We tailor each individual’s personal rehabilitation treatment programme to specifically treat their individual medical, physical, social, emotional, spiritual and psychological needs. We also treat the individual as a whole person, using person centred treatment techniques to treat the mind, body and spirit comprehensively. Failing to treat the psychological aspect of an Etizolam addiction and the issues underpinning it, will usually result in relapse. Full inpatient residential detox and rehabilitation provides the individual with the best chance of staying permanently free from Etizolam and other addictive substances or medications in future. Furthermore, all patients that complete their Etizolam treatment programme with us, will also receive 12 months complimentary aftercare at their chosen rehab. We consider this a vital as it assists with the transition into a life without Etizolam and other mood and mind altering drugs. It also helps to keep the individual inspired, motivated and engaged in the recovery process and helps them to overcome any problems and challenges they may be facing back in their home environment. 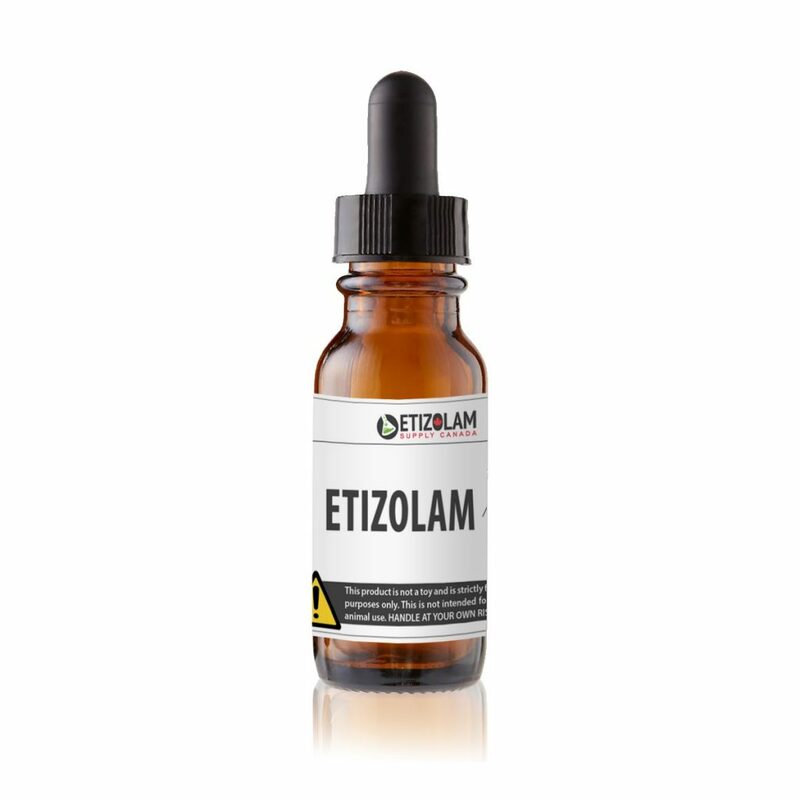 Etizolam addiction and abuse can kill and it can affect anyone; if you or a loved one are suffering from addiction to Etizolam or an abuse problem, it is important you seek help immediately. Call us now, or talk to us via live chat; we are open 24/7 and waiting for your call. We can help you or a loved one to take the first steps in breaking free from Etizolam addiction permanently!